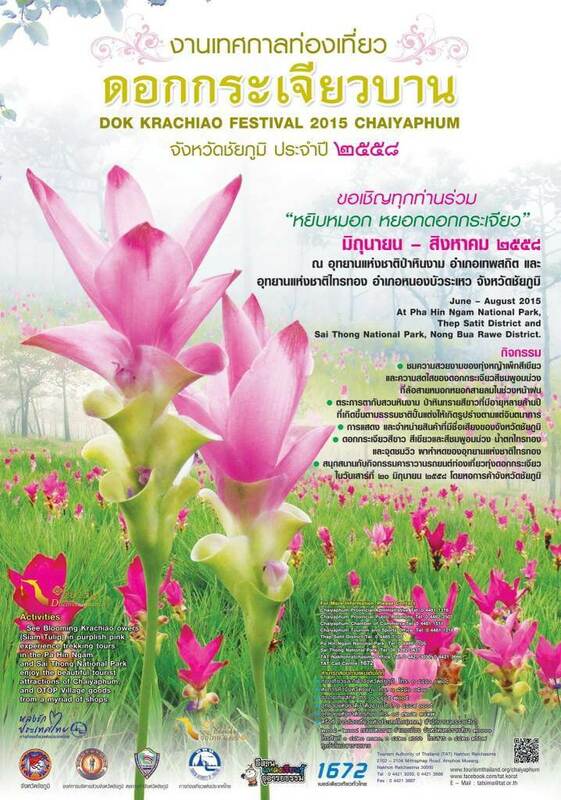 Every year in the early part of the rainy season from June to August in Chaiyaphum province, Siam Tulip, or Dok Krachiao ดอกกระเจียว, blossoms to full bloom. A good friend of mine asked me to join the trip to see the flowers during a long weekend, I also asked teacher Pear to join and here is our journey. 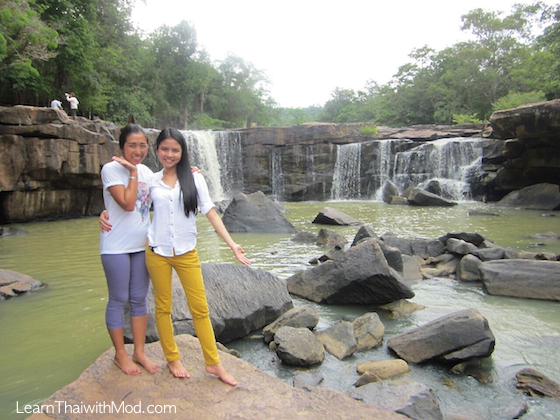 Chaiyaphum is a province in Northeastern of Thailand. It is next to Nakhon Ratchasima (Korat) and around 260-350km from Bangkok,depending on which district you are heading to. It was a trip of four girls. We hired a minivan with a guide and left Bangkok at 11:30 PM on Thursday night. 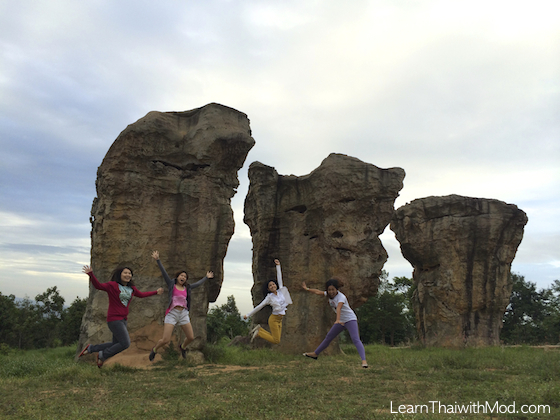 “Mor Hin Khao (มอหินขาว) aka the Stonehenge of Thaialnd” is located in Phu Lan Kha National Park (อุทยานแห่งชาติภูลานคา) . It is a plateau of large rocks scattered in strange and rare shapes similar to mushrooms, boats, elephants, turtles and chedis. These rocks are assumed to be over a hundred million years old. We arrived here around 6 A.M. and we were the only group of visitors which I really enjoyed. It was a great opportunity to take a deep breath of clean air, enjoy the amazing scenery with nobody around, and listen to the sound of the nature. The weather was pretty cool, and a little bit windy. It was a welcome change coming from busy and hot Bangkok. 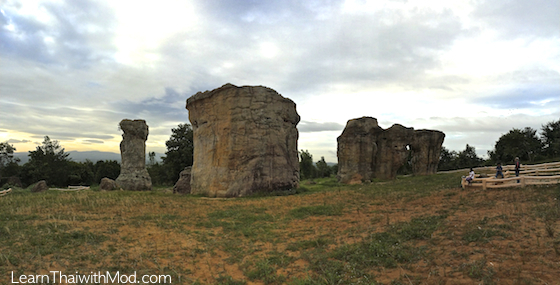 The highlight of the area is a group of giant rocks consisting of five stone columns standing 12 meters tall. 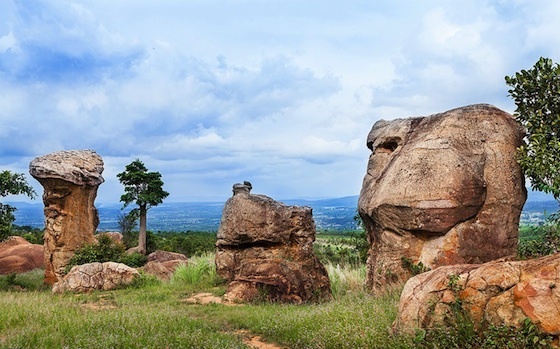 According to the legend, every Buddhist holy night there is white light shining from these five stones so people call this place “Mor Hin Khao” translated as ‘white stone hill’. I was amazed; I didn’t know we had such things in Thailand. I stood before those rocks and tried to imagine what it was like million years ago – it was simply stunning! After having simple breakfast here, we continued to our next destination, waterfall. 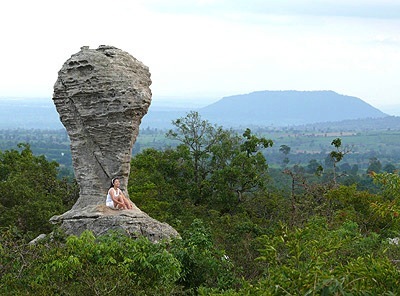 Tat Tone National Park is located near Mor Hin Khao (about 20 km). The park covers the area around 217.18 sq. km. with the famous Tat Tone Waterfall, one of the most beautiful waterfalls in North Eastern region. The Waterfall is about six meters high and 50 meters wide. However, this year the water is less than usual due to a little rain. You can swim in the cool water here, but we just chilled out and enjoy each other’s company with some light snack before we headed to see the flower field. The Sai Thong National Park (อุทยานแห่งชาติไทรทอง) covers 340 square kilometers of Phang Hoei mountain range (เทือกเขาพังเหย). It is the source of many rivers and creeks which are tributaries of the Chi River alongside dry evergreen forests. We couldn’t take our minivan up to the top because of the twisted and narrow road, so we had to switch to the pickup truck. It was a fun ride with cool wind blasting our faces whilst traveling through the big forest. 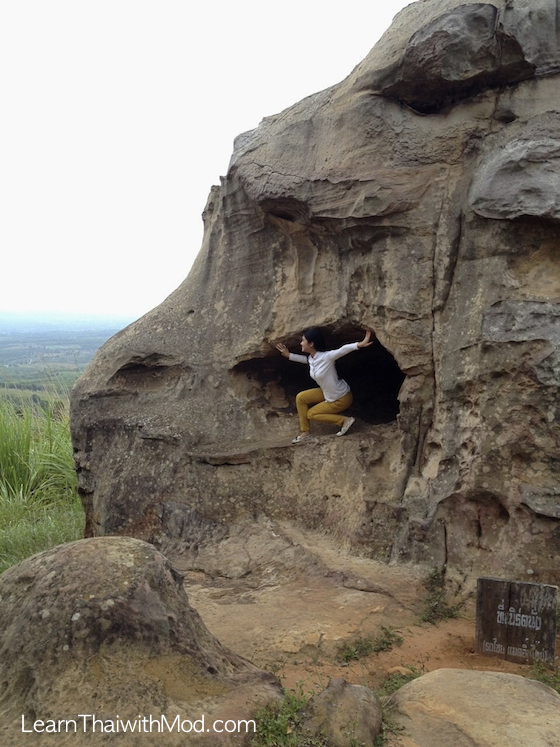 A highlight here is “Pa Hum Hod Cliff viewpoint (ผาหำหด) The Testicle Shrinking Cliff”. 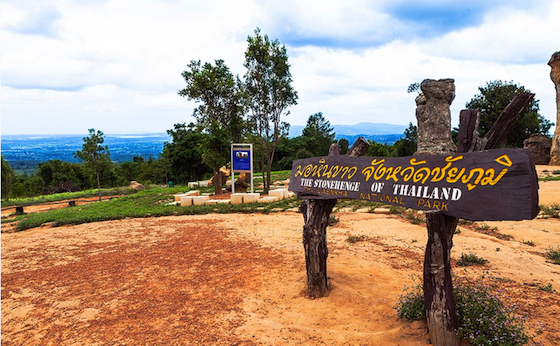 It is the summit of the Phang Hoei mountain range, 864 metres above sea level. The name ‘Hum Hod หำหด’ (หำ /hŭm/ is the Northeastern dialect meaning ‘testicle’, หด /hòt/ means ‘shrink’) The idea is if you stand on it – and have balls- fear will shrivel your manhood!! There were few people queuing for photos on the cliff. Just looking at them sitting down on the edge gave me sweaty palms. I am sacred of heights, but since I was there I decided to conquer my fear and step on the cliff. Pear and I sat down together with our legs hanging down; I could feel the cool wind blowing my feet! It was an exciting experience and the view here was amazing! 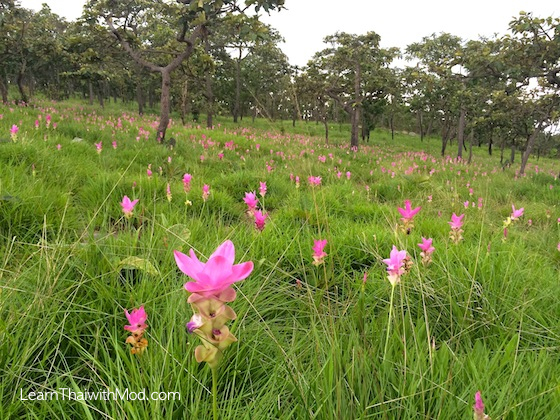 We then walked through the forest to the first spot where Siam Tulips grow; “ทุ่งบัวสวรรค์ Thung Bua Sawan” or “ทุ่งดอกกระเจียว Thung Dok Krachiao”. 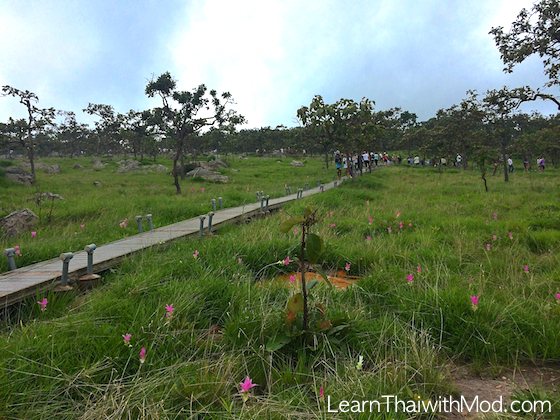 There are five fields up here but the most visited are Thung Bua Sawan 1 and 2. Two colors of flower (pink and white) are found here. We were told that there was less rain this year, so the flowers in this field bloomed later than usual. Nevertheless, I enjoyed the walk and talk with my friends through the forest and spotted some wild mushrooms. It is perched on a 846-meter-high cliff overlooking Petchabun province. It’s called “สุดแผ่นดิน Sud Paen Din” (the end of the land) as this is the point where the Isaan plateau meets the central plains. The panorama view here is gorgeous. 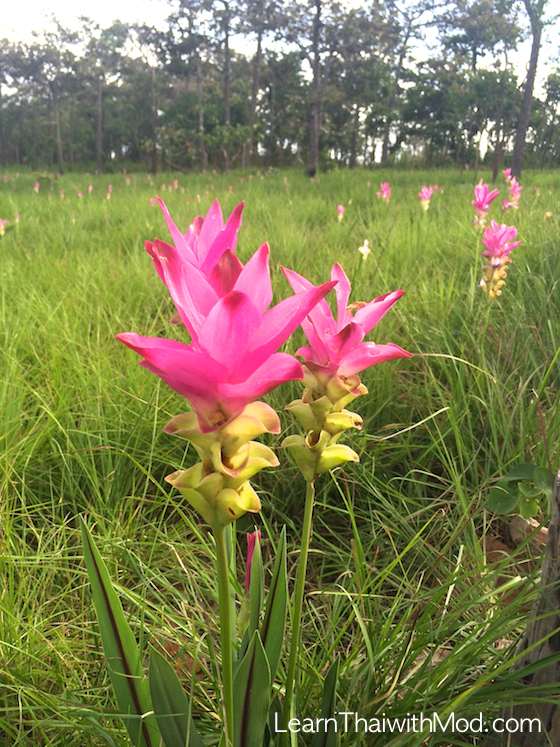 Just a few hundred meters from Sud Paen Din viewpoint, we reached a two-rai field of Siam Tulip flowers. 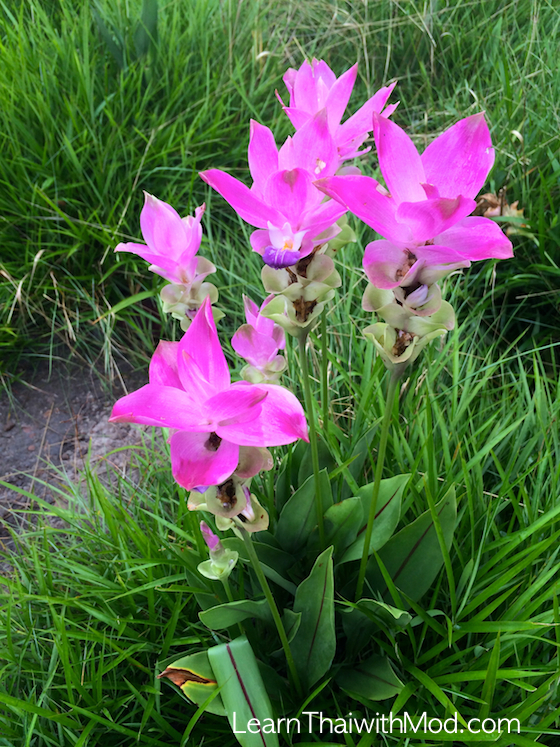 There is a 1 km paved pathway going through the field which is blanketed with the exceptional beauty of these pinkish-purple flowers. It was so pretty that I imagined my friends and I were angels running around in heaven. The entry into the ground is prohibited, we saw a couple of kids with their father walking in there and touching the flowers. Teacher Pear got a little bit upset about that. 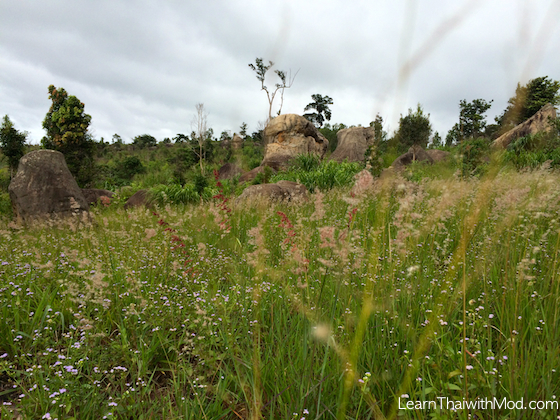 “ลานหินงาม Lan Hin Ngam” (translated as ‘beautiful rock plain’) is another important attraction of this national park. You can see the various sizes of stones eroded by wind and rain over millions of years. The shapes of these stones will give you plenty of room for your imagination. This trip was refreshing for me & my friends and I am grateful to have seen many amazing things created by nature – flowers, forest, cliffs, and rocks. I look forward to exploring more cool places in Thailand and sharing the experience with you! Enjoyed reading your travelogue. My wife and I have visited Thailand seven times in the last ten years – and next time we will hopefully follow the same itinerary as you did. 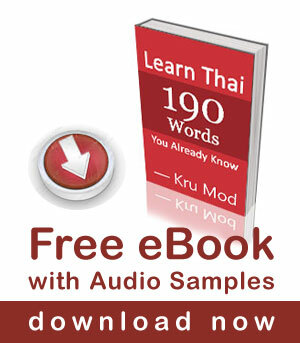 Thank you for the information – and for your assistance in learning some Thai words and phrases. Sawatdee Khrap, I have been in Nan Thailand since January 15, when I arrived and got married the same day. I would love to learn enough Thai so as to be able to communicate with my wife and family, but it is difficult as I am now 62, just turned 62 May 8th. If there are any easy lessons to be able to remember, please let me know as remembering is the most difficult for me. I have gone through the first 6 lessons in the Thai alphabet, and it is getting more and more difficult to remember the letters. I thought I had it rough with 21 consonants and 5 vowels, with Thai it is 44 consonants, 32 vowels, and 5 tones, I really hope to pick up Thai soon as I am feeling left out of most of the conversations. Thank you for your wonderful website. Hope my girlfriend could learn English but she is not interested to learn a bit. Hope I learn Thai slowly after going through your nice collection of videos. Thanx Teacher Mood, You are the best. Mod, do you also hire your services as a tour guide? You are very talented and descriptive. 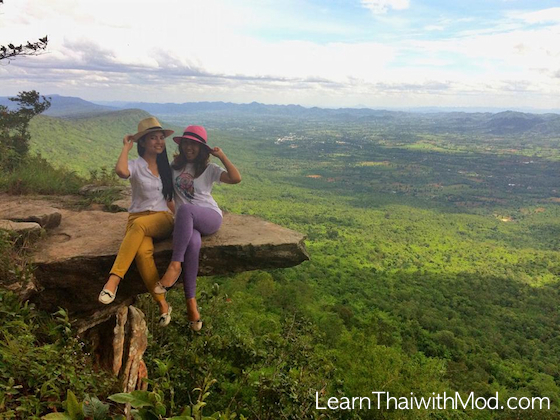 Then you should combine your two services, “Learn Thai with Mod and tour”. 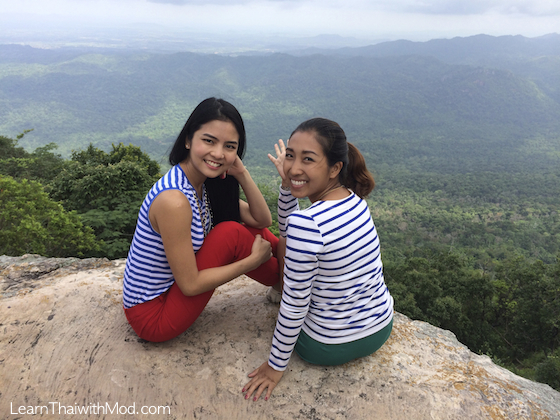 What a great way to see the sights of beautiful Thailand while learning the Thai language. I will be your first customer. I’ve been in Thailand over 2 years and just visited some popular spot as sightseeing such as Bangkok,Chaing Mai,Phuket and Ayutthaya but I’ve never heard of this place before I read the article. It’s good webpage not only for studying but for getting some information in Thailand. Khob Khun krab,Krub Mod and Pear. My late Thai wife used to call our male cat, “buck hum noi”. Very funny indeed. Chaiyaphum looks gorgeous. I am making my first trip to Thailand in September, and I hope the flowers will still be around at that time, thank you for the idea. Wonderful pictures…beautiful nature and smiles. Thank you Mod and Pear! Great travel photos. You are doing a great job promoting Thailand, its language & culture. Very nice pix and informative, i hope one day i can go visit! Well, that was really nice , thank you . The pictures great , dialogue cool , very informative too . And the ledge out sat on , excellent . The name is interesting , maybe in the past , only men went out there . I was wondering what effect it would have on ladies . And the tulips growing wild , looks very wet and marshy there . I prefer something different and this is a pleasant diversion . And I must follow more of your lessons . Hi, Mod. I enjoy your Thai language class by video. I like the way you teach it. Especially I love your English, sounds and sentences. So I have enjoyed this story, too. Hoping see you in Thai, somewhere, someday. Very nice place, thank you for your introduction, hoping to go there soon. ps: how to insert smileys in a reply ? Sawatdee ka Gerard, thank you for reading my article. I am happy that you found it useful for your traveling. 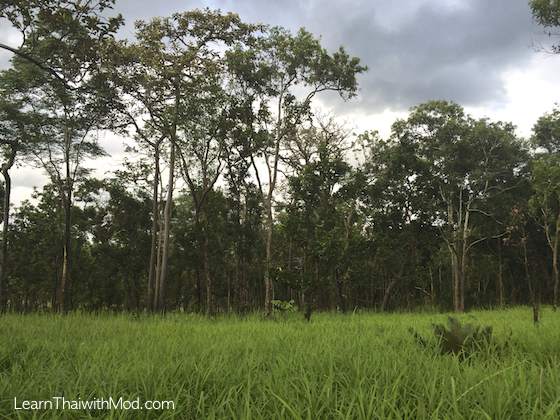 My wife and I got away to Nakhon Ratchasima and Buriram for a few days over the recent holiday weekend. 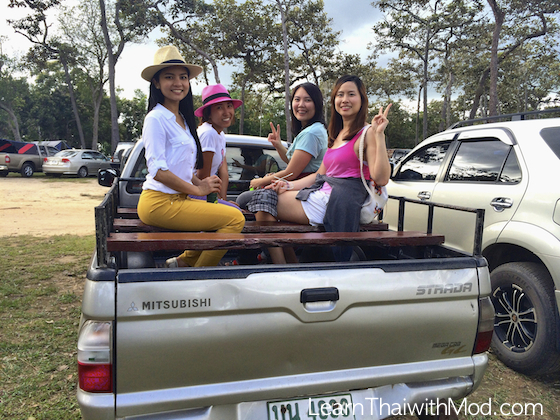 We went to Phanom Rung and Mueng Tam as well as Khao Yai National Park. All great places for photos. I really enjoy your posts. Thanks for sharing your fun times with everyone! I looked up ลาน in a dictionary and came up with 20 different meanings. I am sure that some are obscure. Are there other common meanings for ลาน? I have a real shrinking cliff idea for you. If you are free for lunch or dinner, let’s go to the Sala Rattanakosin to eat. I have never been there before and I am in Bangkok for a few days and would like to treat you if you are able. Of course you may bring a friend along if that suits you. Thanks Mod, that was very interesting.